The Pantone Color Institute has recently announced that emerald will be the official colors of 2013. After an array of bright color like Tangerine Tango, Honeysuckle, Turquoise and Mimosa, I am eager to embrace this deep and mysterious green. According to the gods of color, emerald is described as "a color of elegance and beauty that enhances our sense of well-being, balance and harmony". Isn't that promising! Are you ready for this luscious and lively green? 3 comments on "Emerald Green Fever"
Lovely image. 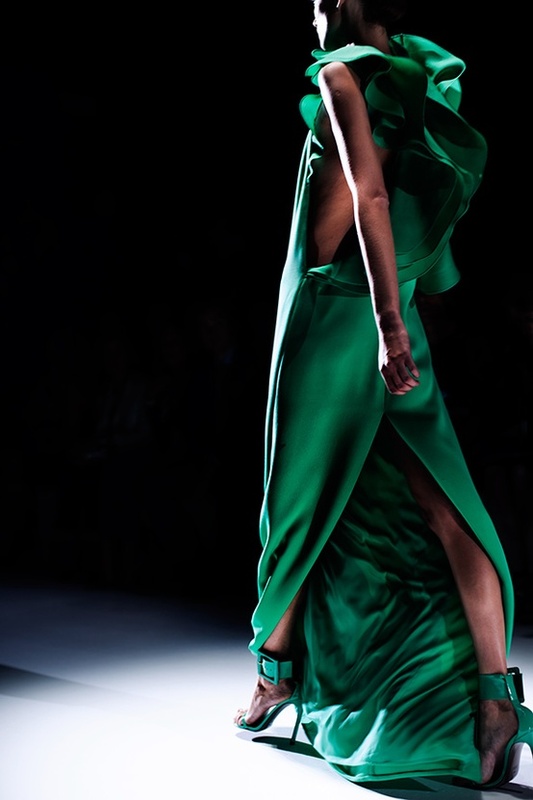 I have been reading quite a lot about emerald for next spring and it's true that it's an elegant colour. I love emerald rings but as yet don't have this colour in my wardrobe - I'm sure that will change! For some reason I think everyone is thrilled and delighted with the idea of wearing this chic green in the near future!